Results consistent in over 30 studies. Is there something about wealth that brings out the worst in almost all of us? When Job lost everything, did it make him a better man by making him more appreciative of the plight of the poor? ObamaNoCare isn’t merely wrong on a mathematical or financial basis. It’s wrong on a moral basis. This video offers an insightful explanation of the moral foundation for mandatory health care. Great Britain has been racked by riots. At least five civilians have been killed, scores of police officers injured, and local jails are packed beyond capacity. 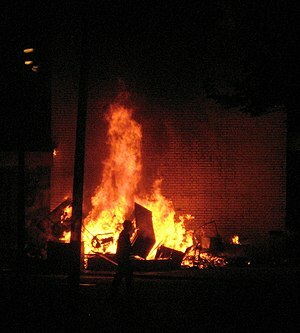 An early estimate guesstimates that the riots have already caused over $325 million in property damage. The final cost will be higher. Initially, the riot seemed to result from racial tensions between blacks and English police. But as the riots continued, photographs revealed that the young rioters were white almost as often as black. More, the riots weren’t confined to one neighborhood but instead exploded in a dozen or more locations across England. These riots’ racial and geographical diversities indicate the presence of a systemic problem in Great Britain. The people and politicians of Great Britain are lefts shaken, bewildered and wondering What has gone wrong with our society? I contend that the government of England has lost its “moral authority” and riots are the result. This video will piss you off. It’s sharp, brilliant, concise. Less than 4 minutes. Congressmen get rich–BIG TIME–while the USA burns. Hundreds of millions of dollars. 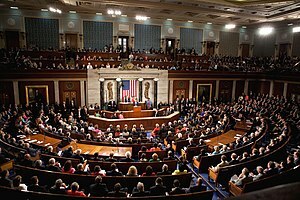 Congress may have passed laws to allow them to commit insider trading, but I wonder if there are similar laws to allow them to commit treason. Could insider trading by Congress be construed to be treason (levying war against the several “United States” or giving aid and comfort to the enemies of the States of the Union)? I’ve said for years that Congress and the Senate are nothing but a bunch of treasonous whores for sale to the highest bidder. This video pretty much proves that contention. The bastards need to be indicted. All of ’em. The gap between American rich and American poor is growing. If the gap were growing because the rich are smarter and work harder, I wouldn’t object. But the real reason for the success of most of the rich is that they buy and bribe congressman and presidents to pass “special interest legislation” that restricts competition, provides tax breaks for the rich, or compels the American people to buy whatever it is the rich have to sell. In other words, the rich are getting richer primarily because 1) money is the “mothers milk” of politics; 2) the Congress is a pack of treasonous whores who are for sale to the highest bidder; 3) both major political parties–despite rhetoric to the contrary–are dedicated to providing their “legislative services” to the highest “bidders”; and 4) the rich are, by definition, almost always the highest bidders. Ergo, the rich get “legally” richer so long as the last remaining bastion of true “free market competition” is on the floor of the Congress.